We are bringing quality back to Information Technologies by providing all-inclusive, high-touch IT services. One monthly Flat Fee which includes ALL Labor. There are NO additional charges for Repairs, Replacements, Upgrades, Add-ons, Projects or After Hours labor. We are a group of dedicated network engineers who don’t fit in well at most IT companies because we are quality and value driven above all else! Rogue since 1997, Bluefinger Technologies has built a culture of providing quality and value above all else. We’ve accomplished this by employing dedicated people who take the time to properly care for your company, staff and network. From the golden era of Novell to today’s virtualized hybrid-clouds, we have grown up with the technology your business uses every day. Quality is King! Our Networks are built on the 3 R’s – Reliability, Redundancy and Recoverability. We take the time to engineer superior networks using quality components backed by manufactures with proven track records. One Monthly Flat Fee includes ALL Labor for easy budgeting. No additional charges for Monthly Maintenance, Repairs, Replacements, Upgrades, Add-Ons, Projects or After Hours Labor. Anti-Virus, anti-spam and remote management licenses are included. 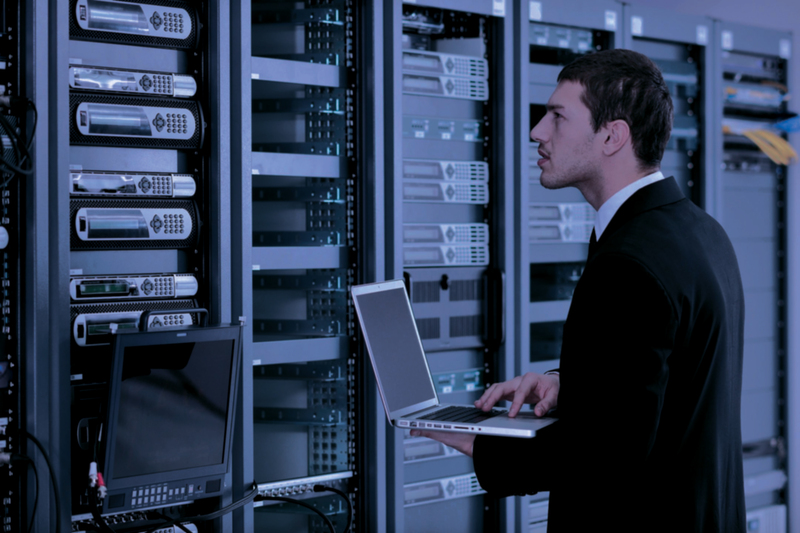 Our staff of experienced engineers are limited in the number of clients they serve so they can take the necessary time to properly care for your company, staff and network. No helpdesk to waste your time, just a direct line to dedicated, experienced engineers. We are very dedicated to our clients! We do whatever it takes to get the job done right, the first time, every time! We are here 24/7 to keep your network and staff working 24/7. We provide a multitude of Cloud based solutions from web hosting and shared file storage to advanced Hybrid E-mail Solutions including the full suite of Microsoft Office 365 solutions. Bluefinger offers, services and supports the full suite of Windows and Linux Server solutions to meet your needs including Domain Controllers, File Servers, Mail Servers, Database Servers, Remote Access Servers and more. We offer several virtualization solutions to maximize your server hardware including VMWare, Hyper-V and XenServer. Virtualization of your server environment allows you to run many virtual servers (Windows or Linux) on each physical server, reducing hardware costs while providing additional redundancy and recoverability options. Off-Site Work Solutions from Microsoft and Citrix are an integral part of today’s workplace, including Remote Desktop Services, App-V, XenDesktop and XenApp. These industry leading solutions allow your employees to securely and efficiently work from home, remote offices and on the road. They also allow full, secure access to all network resources, including CRM, ERP and accounting packages. Jason Guillory and Bluefinger Technologies, Inc. have done an outstanding job of addressing the technological needs of our network computer system. He and his staff are very professional as well as helpful in assisting us whenever they are called upon. I have known Jason for several years and would not think of using another IT company. He and his technicians at Bluefinger are always prompt and straightforward. I would highly recommend Bluefinger to any business, medical or otherwise. Bluefinger Technologies, Inc. delivers not only quality work but outstanding customer service and professionalism. The network engineer team has continued to prove their vast knowledge and ability to exceed our expectations. Review Med highly recommends Bluefinger Technologies, Inc. Please Contact your assigned support team directly, if you don't have their contact information call us at 972-905-9035 for immediate support.